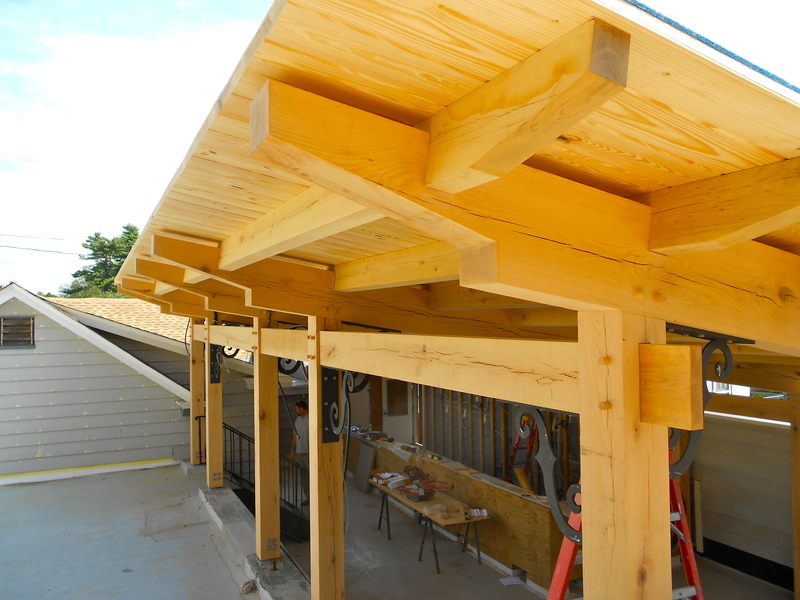 Rooftop Timber Frame at Buckley's Tavern - Hugh Lofting Timber Framing Inc.
Buckley’s Tavern, in Centreville, DE, has been a local favorite for over 60 years. 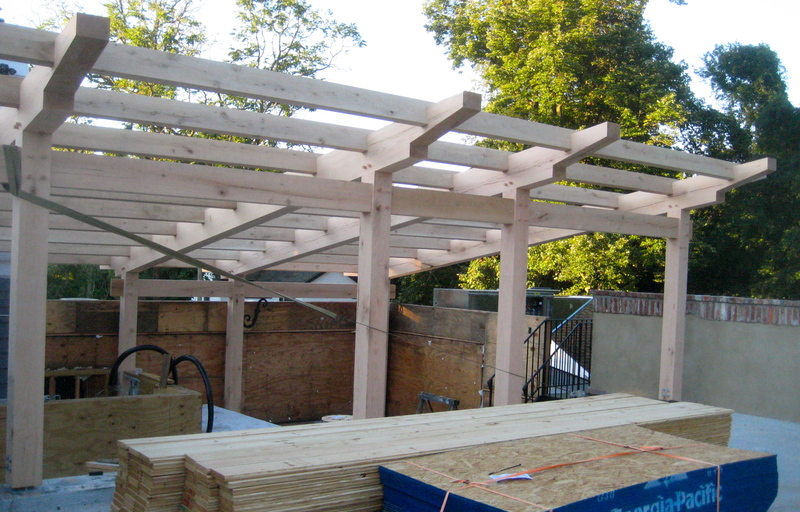 HLTF was very excited to be contracted to create a rooftop pergola for the restaurant which is currently under going extensive renovations. 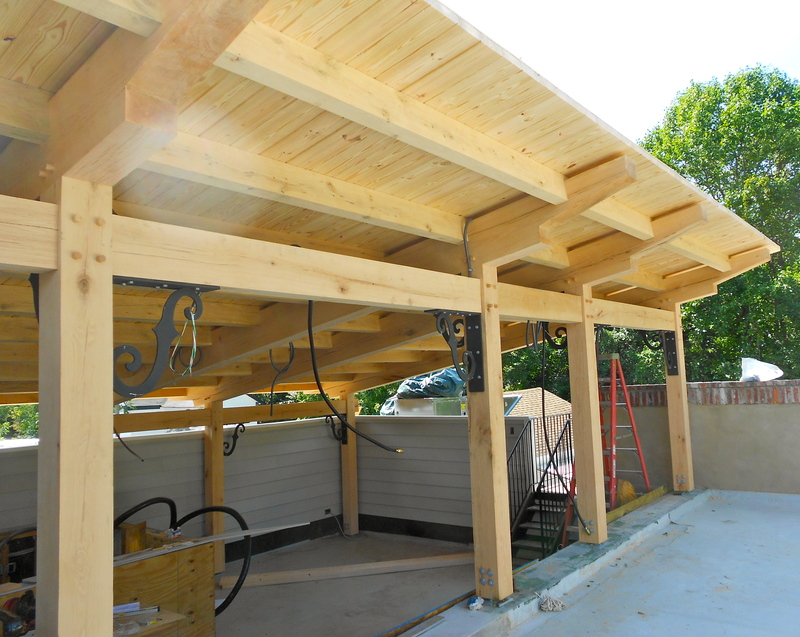 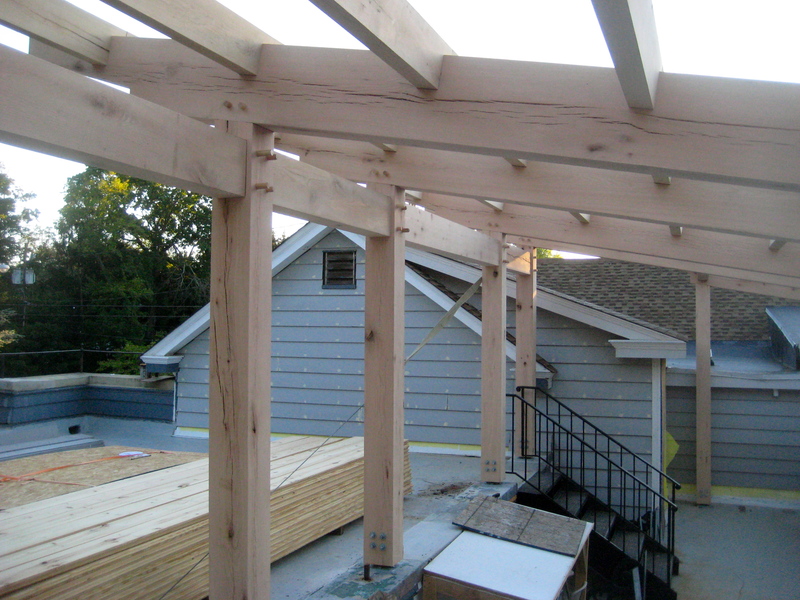 Under the new timber frame terrace will be an updated rooftop bar and dining area. 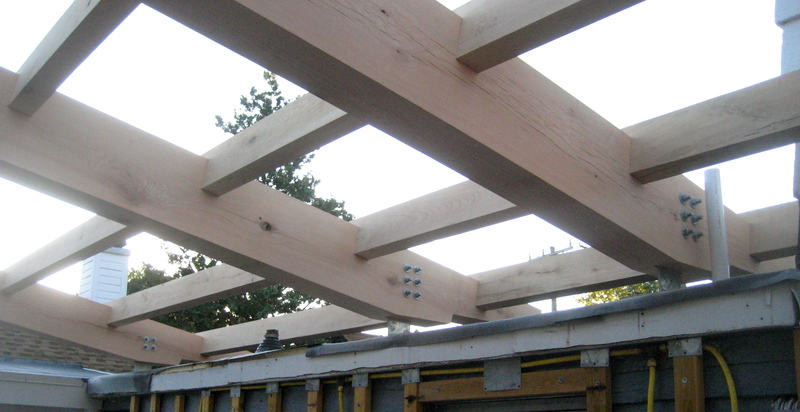 The owners selected planed and sanded mixed Oak material for the frame. 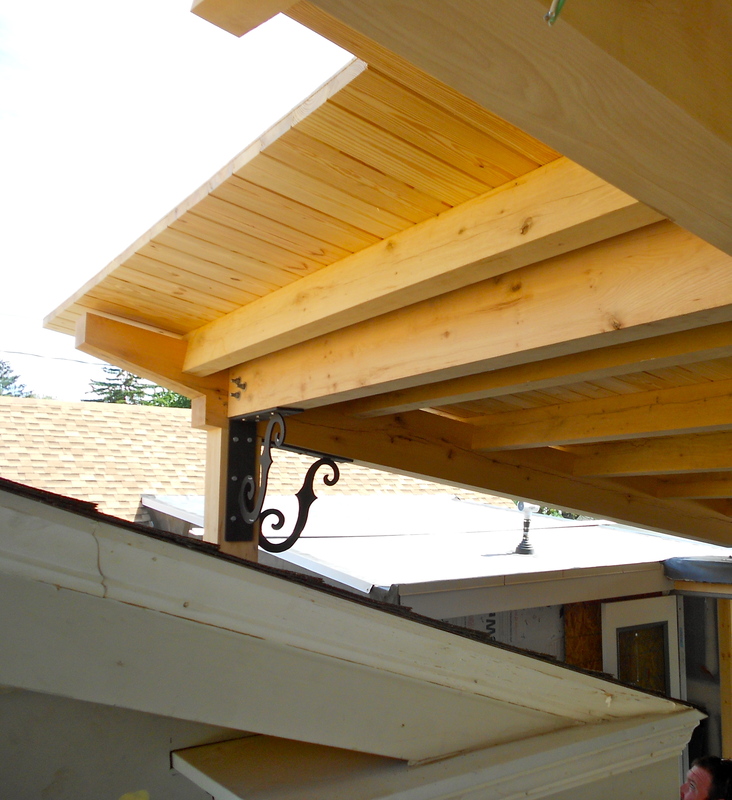 There was no finish applied to the timbers due to their desire for a natural aging process. 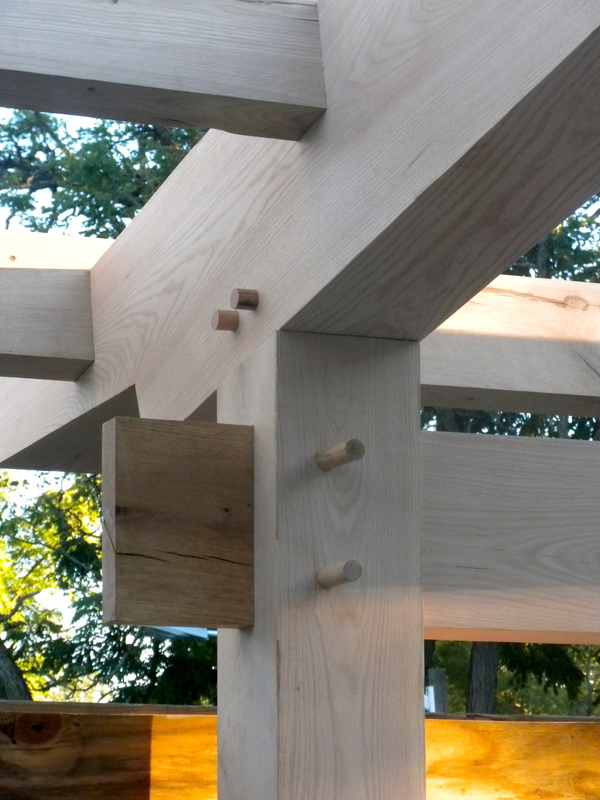 Traditional mortise and tenon joinery was used in conjunction with steel connectors to the existing structure to create a beautiful and sound frame. 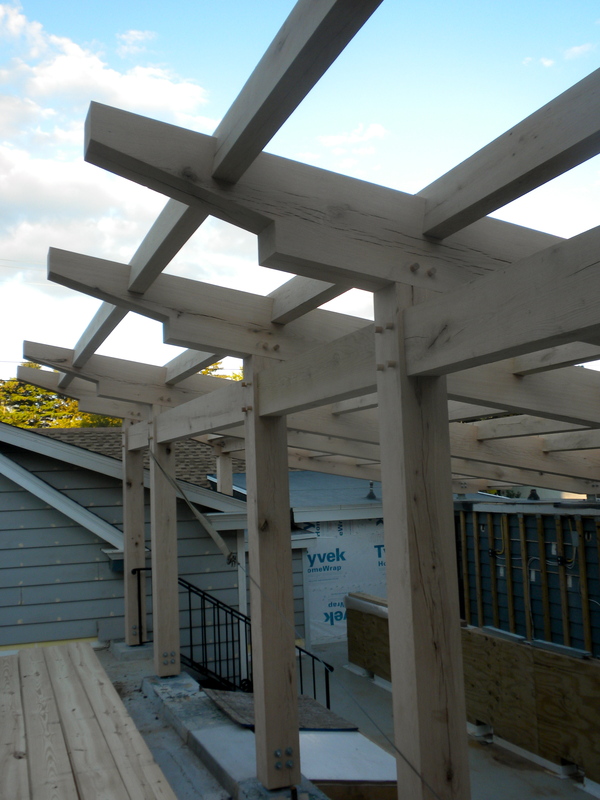 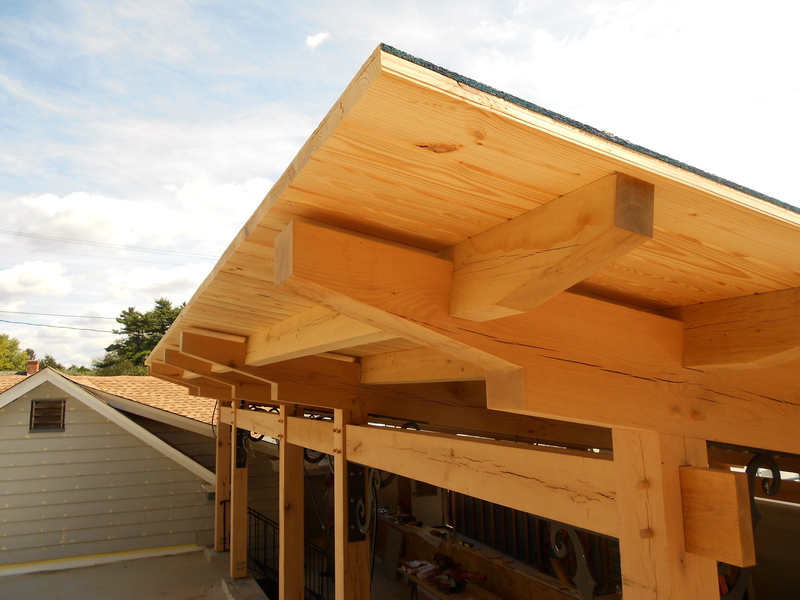 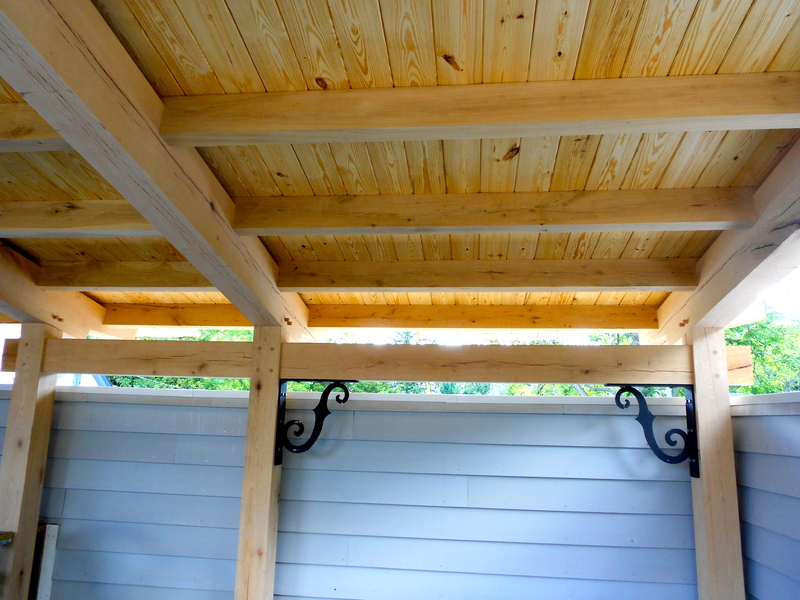 2×8 Southern Yellow Pine tongue and groove decking, also unfinished, was installed to cover the timber framed terrace. 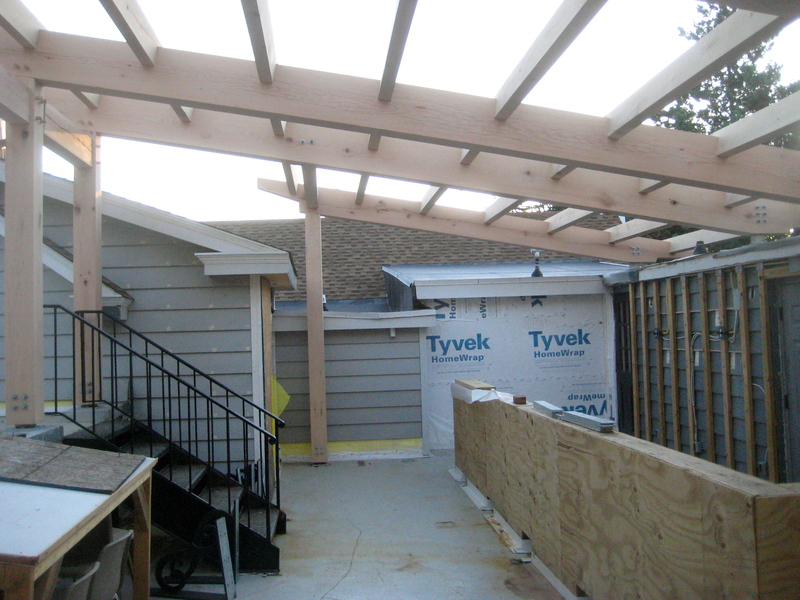 The covered terrace creates a canopy providing shade and protection from the elements for the restaurant patrons. 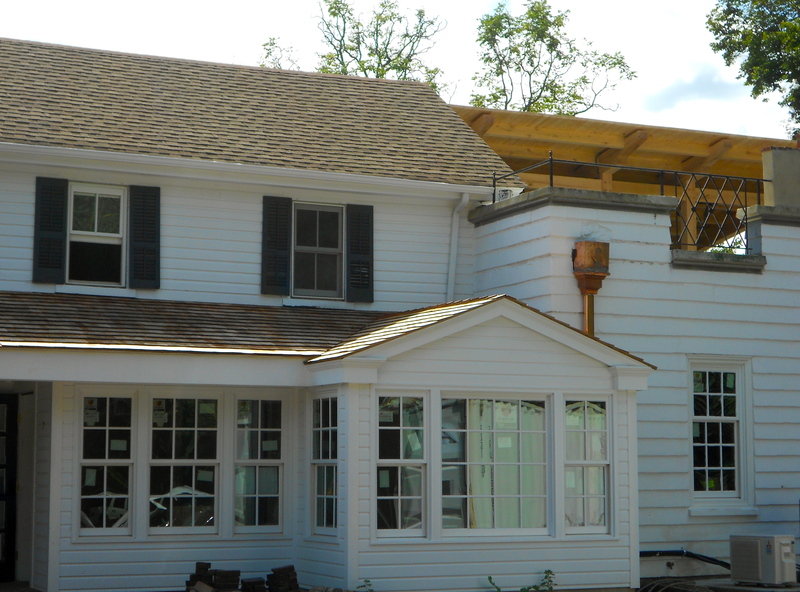 HLTF is very excited to be part of the renovations of such a long-standing community establishment and we are looking forward to the re-opening. 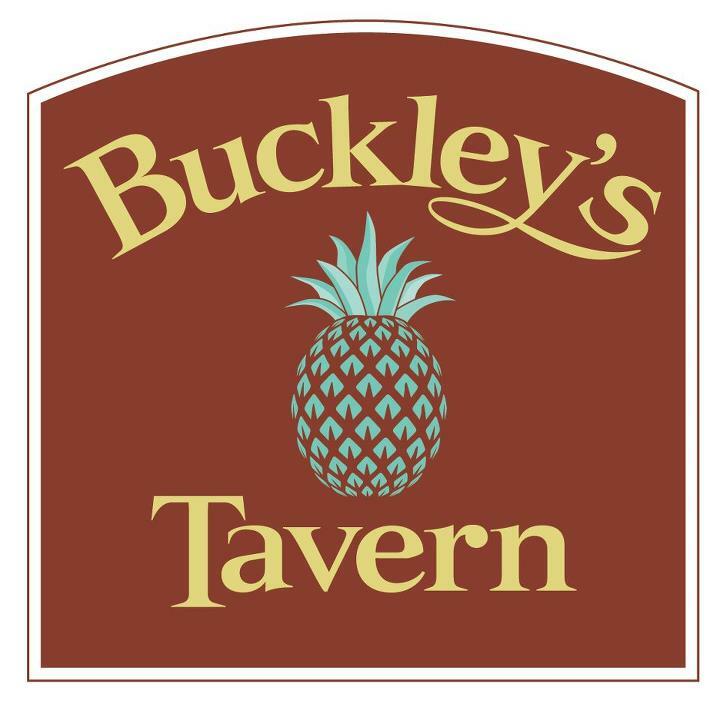 Check out Buckley’s Tavern on Facebook for more information about the re-opening of the restaurant.